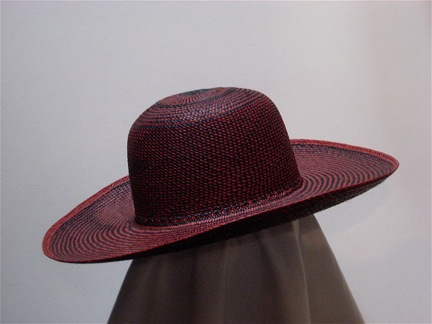 Hand-woven in Equador by the descendants of the Inca, the Panama Straw has held the world market for woven hats since the discovery of the new world. 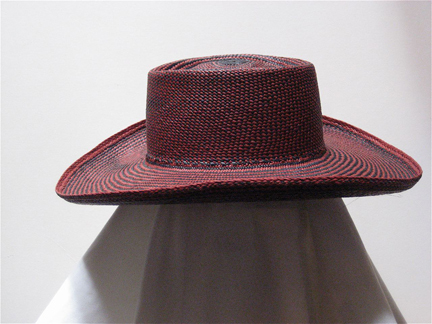 Woven from finely selected Paja Toquilla, a palmetto plant native to just Ecuador, they are supple and yet the most durable woven hat in the world. 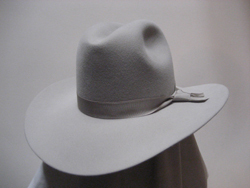 Properly cared for, your Panama can be handed down as a heirloom sculpture. They are graded from one to twenty, in ascending order of quality and cost. Fino begins at ten. Fourteen earns a finissmo, which is where the Montecristis come in. Twenty qualifies as a "fino fino". The "fino fino" grade is becoming very rare since there are only a few weavers left that can weave that kind of quality. 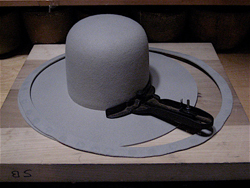 Along with different grades, Panama hats also come in different types of weaves. 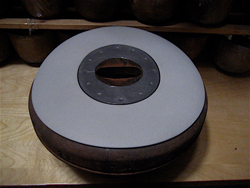 These included Perdiz, Torcido, and Semi-Colado. 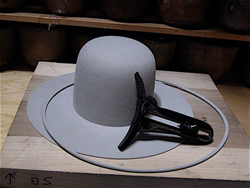 All of our hats are woven by hand and finished with a back weave on the brim edge. Panama Hats range from $250 t0 $2500. We offer our customers the choice of 100 percent rabbit, 100 percent beaver, and 50 percent wild hare/50 percent beaver fur-felt hats. We order the blank in the size and color of your choice and make it into whatever shape you choose. Please peruse our different styles in the fur-felt and Panama sections. 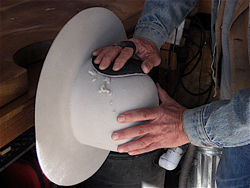 Keep in mind that we can make pretty much any hat imaginable- any combination of crown and brim styles from our website. We also work from photos, movies, and old illustrations if you can't find the exact hat for you. 100 percent rabbit hats start at $450, 100 percent beaver hats start at $850, and 50 percent wild hare/50 percent beaver hats start at $650.